SMART project in Maharashtra will primarily focuses upon those villages which are suffering from worst agriculture crisis, lack of infrastructure and assured value chains to channelize the farm produce. SMART program initiative will also support post-harvest value chain and bring in efficiency that will benefit the economy at large. CM has launched this project and around 50 MoUs were signed between big corporates and farmer producer groups. This project is a major step forward towards PM Modi’s vision of Doubling Farmers Income by 2022. SMART program will assure sustainable agriculture, improves infrastructure and will provide assured value chains to channelize the farm produce. Check SMART Project Objectives and Impact which are going to benefit farmers as well as private / public sectors. Confederation of Industry (CII) is an entrepreneurial partner of this project. The fund are going to be invested at a total cost of Rs. 2,118 crores in SMART project. Out of this, the World Bank will take part in funding of Rs. 1,483 crores. The state govt. will invest Rs. 565 crores and Village Social Transformation Foundation will provide Rs. 71 crore funding. The funding of the Village Social Transformation Foundation has been raised through corporate social responsibility (CSR). CM @Dev_Fadnavis launched GoM’s Agribusiness and Rural Transformation (SMART) project in Mumbai this evening. With the success of Jalyukt Shivir in Maharashtra, the state govt. has achieved an increase in the crop productivity. Government is now going to strengthen farming groups for marketing purposes. This will create huge employment opportunities and will provide an assured market for the farmers. SMART project will create direct linkage between farmers and markets as well as farmers and corporate companies and will ensure better prices of their crop produce. 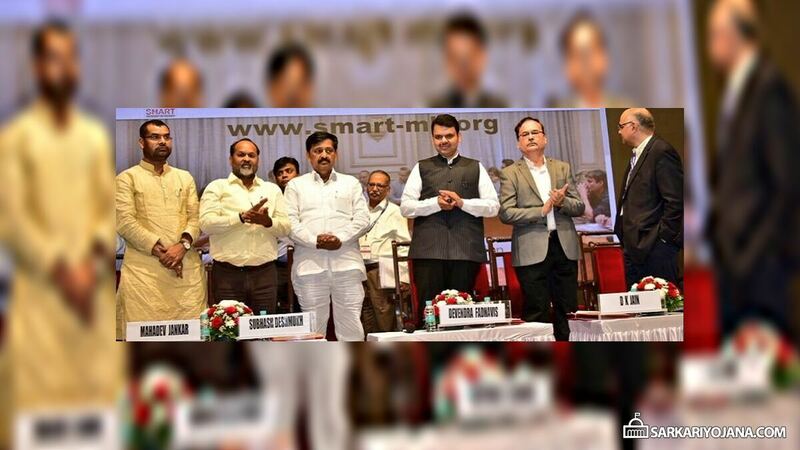 All the top players from food industry are actively participating in this SMART Program in Maharashtra. Now a days, many startups are coming in the agriculture sector. SMART project is helpful in making agriculture more sustainable and affordable to farmers in around 10,000 villages. SMART project is going to get assistance from the World Bank. Several corporate houses have taken pledge to support this project and have also signed MoUs. These corporate houses includes Reliance Retail, Amazon, Walmart, Mahindra Agro, Pepsico, Tata Rallis, Big Basket, Patanjali, Tata Chemical, Happy Roots, Mera Kisan, Way Cool and others.